Symbios Technologies is a world-leading developer of dynamic aqueous plasma technology platforms for water treatment, specialty manufacturing, and biotherapeutic applications. 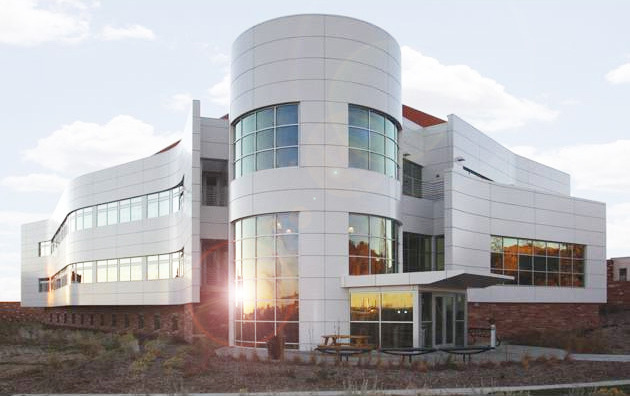 The privately held company was founded in January 2008 and is headquartered in Fort Collins, Colorado at the Colorado State University (CSU) Research Innovation Center within the Infectious Disease Research Center (IDRC) on the CSU Foothills Campus. Initial technology development and vetting was performed at the University of Wisconsin, Colorado State University, and the U.S. Naval Research Laboratory. Currently, the TPR is being advanced by Symbios under Phase II Small Business and Innovation Research (SBIR) grant support from the U.S. National Science Foundation (NSF), National Institute of Health (NIH), joint development agreements, and strategic funding with previous funding including the U.S. Department of Energy (DOE) and other partners. Overall, Symbios Technologies is commercializing its disruptive advanced low-cost aqueous plasma oxidation technology, the Symbios Tubular Plasma Reactor4000™ (TPR4000™), to clean water, preserve the environment, and protect human health as well as improve production economics and sustainability. The Symbios TPR4000 has applicability as an efficient and cost-effective water treatment technology to aggressively destroy organics and disinfect biologicals for many applications related to purification, sanitation, and clean-in-place. Such applications include, food & beverage processing, pharmaceutical manufacturing, hydraulic fracturing flow back & produced water treatment for oil & gas, power plant cooling tower water treatment, industrial & municipal wastewater treatment, and other specialty treatment of waters from industrial operations for recycling, reuse, and/or discharge. Bioscience applications of the technology include the production of therapeutic solutions for oncology and disinfection applications in healthcare via bioactive liquid chemistries, as well as the specialty manufacturing of anti-infective small molecule compounds for wound-healing applications in the plasma medicine field.